Featured by CNN, Business Insider, AppAdvice.com, and many other publications. The free version of an Apple Staff Favorite! 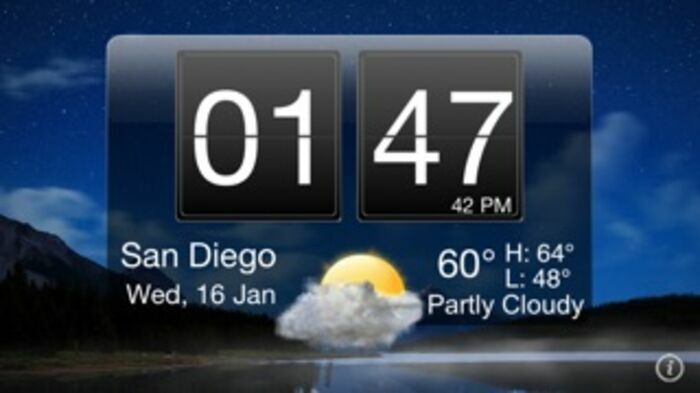 Nightstand Central Free turns your iPhone or iPod touch into a high quality alarm clock with current weather information and customizable wallpaper. It also supports iOS 4 background alarms. You get many of the great features of Nightstand Central, but for free. Easily one of the best looking and elegant alarm or desk clocks in the App Store, Nightstand Central combines all the functionality that you need in an alarm clock into one intuitive app (and it works on both the iPhone and the iPod touch). It's also the perfect use for an older iPhone or iPod touch that doesn't see as much use as it used to. 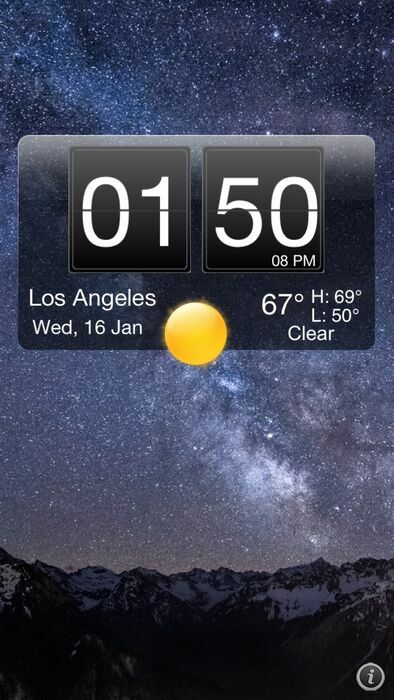 -Customizable auto-lock time. If your device is running on battery, you can set it to sleep earlier than if it is plugged in, or not. 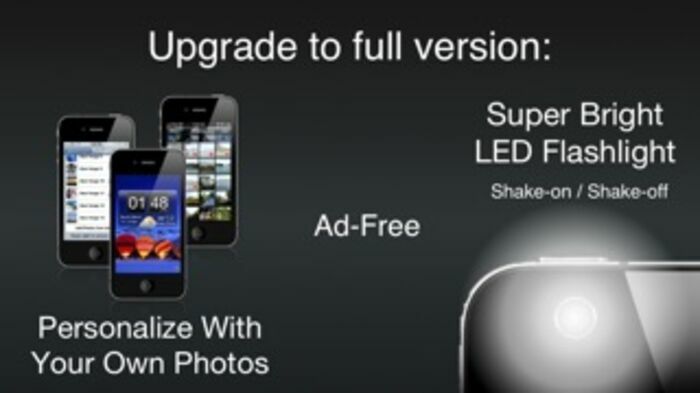 -Adjustable brightness: Slide your finger up or down to change. 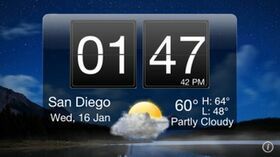 -Current and accurate weather conditions, updated however often you'd like, for almost anywhere in the world. -Support for multiple alarms - set up different times for different days.